As former NMI Program Assistant and TEDxUGA Student Council President, Claire Bertram is no stranger to solving problems. 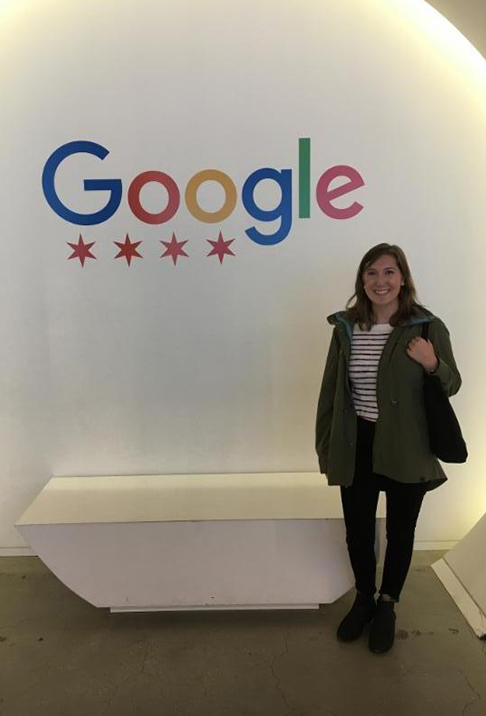 After four years in the NMI, Claire has taken her talents to the Windy City as a Platforms Billing Specialist at Google! She supports the Google Marketing Platform sales team by solving complex billing issues associated with large-scale clients and creating long-term solutions to improve the overall process. She’s 1 of 10 “Nooglers” (New Googlers) who supports the sales team, and she’s taking all the free food and swag that Google has to offer along the way.